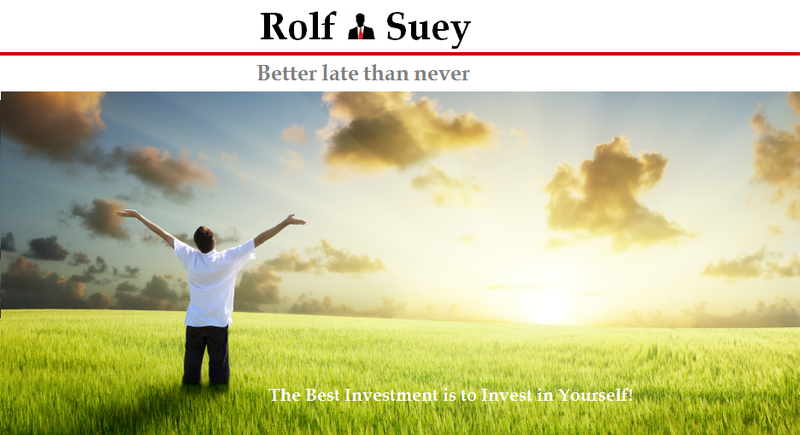 Rolf Suey - Better Late Than Never: Dos & Don'ts during Oil Crisis! This post continues from previous post “Is oil price really sustainable below $30? (Part 1)”. 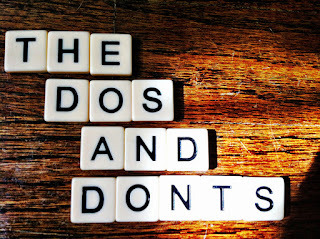 I ended in that article stating to follow up with the discussion on the “Dos and Don’ts” during an Oil Crisis. DO know the broader impacts oil price have on us! For the DOs, I think everyone of us does need to understand the impact of falling oil price has on the economy. It is not just the impact on people or beleaguered oil/offshore companies in the industry, or simply to only think about cheaper utility bill or petrol, but it is much more than that. It has to do with the positive and negative impacts on a broader spectrum affecting the global economy. The impacts of low oil price were mentioned in Part 1 of my article. During an oil price bear or bull, people are inclined to forecast where oil price will head next. History has shown that no one can accurately predict oil price. Refer to my earlier article reaffirming this fact “Which Directions Will Oil Price Head? What Should I Do Now?”. The oil price rout started in 3Q2014 due primarily to OPEC persistent increase of oil supply in an attempt to expunge shale producers. Since then, oil price gravitated to decade low of under $30 a barrel last month. The initial decline of oil price ignited buying interest in O&G stocks for many people. In particular Keppel and Semb Corp (SCI), the two blue chips deem to be the safe bet. Imagine you bought Keppel and Semb Corp at >$10 and >$4.5 respectively back in 2014, and continue to average many times down until today. Then not only will your losses be hugely compounded, your entire portfolio is likely to be lopsided towards these counters. Let's say you bought in Keppel at $10. Conservatively, for every 20% drop, you average down i.e. @$10, 8, 6.4, 5.1. This equates to total investments of $30k for 4 lots, with an average cost of $7.5 per share. Consider Keppel last close price of $4.9, your paper loss translates to ~$10k (35% decline)! Some can be even more aggressive in the averaging down during the initial stage. This is even more undesirable as you will quickly run out of cash to average down when the price plunge even lower than what you expected. Yes, I am guilty as well, because I bought into SCI too early but fortunately exited last Aug when share price is at $3.35. This was at a hefty loss. Refer to my post “My Portfolio – Updates of Buy and Sell & Rolf's Advices!” It turns out to be a blessing today, since SCI is $2.54 as per last closed price. I am not excluding the possibility of a buyback later. Do not get me wrong, I am not saying that these two companies are bad buys with poor business fundamentals in the long term. I am just trying to remind the high degree of unpredictability stemming from the cyclical O&G industry which will make averaging down (catching the falling knife) tactic more unconvincing. During the good old days when oil price is above the century mark, many fresh graduates enter the O&G sector. It was not only attractive remuneration, but also all the hype portrayed by the media about the bright future in this industry. I recall Mediacorp and Keppel Corp partnered to produce a TV drama “The Peak” or “Zui Gao Dian” back in 2007. It's remarkable how things took a drastic change now. As the industry outlook gets gloomier each day, there are many instances where people are eagerly finding the nearest exit out of the industry. Fear and anxiety are cited as reasons! My personal advice is really to try to endure this tough time in the same industry as far as possible. After-all, the O&G sector is niche and technical in nature with a relatively high barrier of entry. If you choose to leave the sector voluntary now, all the years of related experience will just go down to drain. It could also happen that once you leave the industry, an unexpected "wind of change" takes place to drive the oil price up again. By then you will miss the boat. The same situation mimicked in the late 80s throughout the 90s when O&G/Marine industry is in doldrums. Who will have expected the boom then in the next decade thereafter. I joined the industry in the early millennium and back then there were a serious shortage of experienced workforce. Veterans who were in the Marine industry for a long time were highly sought after and enjoyed almost a decade long of good fortunes! I also remember the 2009 GFC which adversely affected the O&G industry as well. That crisis was short-lived and not as harsh, because oil price rose quickly. Many believe that this crisis is different as the winter is anticipated to be longer and colder. 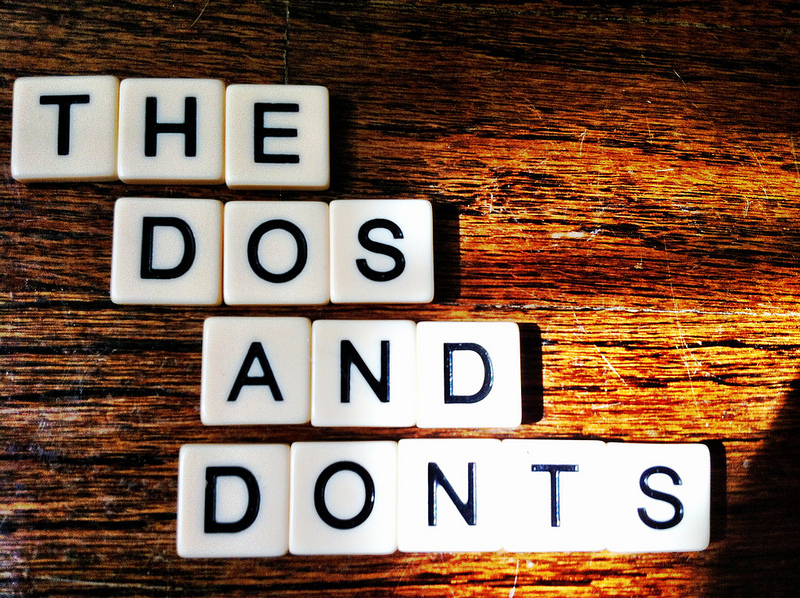 The above are just some of the Dos and Don’ts during the current oil crisis. Perhaps it pays to remind oneself to anticipate and take action early, before the actual crisis unfolds. In addition, it is extremely important to NOT run away from a crisis, but instead to face it, stay tough and pull through any crisis in your life. For I am very confident that THERE WILL BE SUNSHINE AFTER THE RAIN! Is this a right time to buy: DBS, OCBC, UOB or Keppel and Sembcorp? Will Oil Price crash to $20 or rebound to $70 in 2016? Sembcorp Buy or Not? – Ask Who? When Warren Buffet made his billion dollar mistake in buying ConocoPhillips when the oil price was near its peak in 2008, he admitted it. Instead of averaging down and hoping oil prices will rebound, Warren just liquidated his billion dollar mistake and took his lumps of coal like a real investor. When the reasons/theses why you get into a stock are no longer valid, what has our entry price got to do with anything? First of all, happy monkey year. Guess it will take awhile for the industry, but it is a good test of strength for companies and individual. Even T Boone Pickens has sold all his oil holdings and wait for a better time to enter again. It's always that you have the guts to buy "nobody wants now" rather than "everybody wants now" that can make you a pile of $$$ if your vision of the future is correct. If it's wrong, hopefully there is some residue value lol. I agree it takes guts and contrarian behavior to make! But going now into Keppel or SCI vs 1 year ago? Am I completely excluding them? Not really, but maybe not even now for me. Furthermore there are quite a lot of bargains elsewhere more attractive. I am buying in quite lot lately. Hopefully the vision is right! If you go in now (earlier), you have to wait longer (maybe 2 to 3years to 5) to make money lol. SETE BRAZIL application for chapter 11 is still in consideration. Oil and Gas better let the dust settle, which is probably end of this yr or early 2017. Both Keppel and SCI Sete Brasil rigs at most 4-5 will go ahead out of the 13 rigs ordered! Even if sete Brasil bankrupt n will not pay the first 4-5 rigs, Both Keppel n Semb will have to own it themselves n market. This scenario happened during the GFC, where petropod go bust n Jurong took over the rig n sell later! Hi SI - same same to u. Happy CNY! Do not leave the industry is true, I would also view it as "Do not leave your job!" this is unfortunately a bad time to resign or switch jobs due to the economic uncertainty and with so many companies retrenching folks.